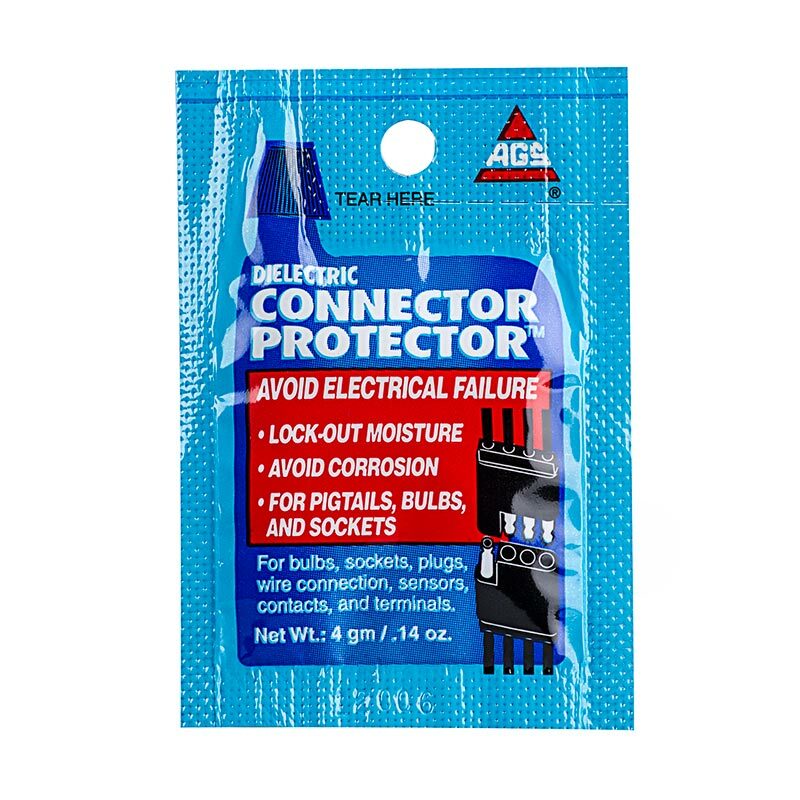 High performance silicone based dielectric grease that can be applied to any electrical connection to keep out moisture and prevent corrosion. Use with connectors, sockets, pigtails, trailer connections, headlight/taillight bulb bases, contacts, etc. Includes (1) 0.14-ounce packet. Just enough for a couple of connectors without wasting much.